The last couple of weeks have been a blur of motion, family, friends, hello's, goodbye's & travel. We left Ecuador a few weeks ago & then spent a week long vacation in Tulum, Mexico. Tulum is a DREAM!! It was the perfect stop for us to spend a week alone together. We stayed in a gorgeous airbnb, rented a scooter to get us from our apartment to the beach as quickly as possible, went to bed early, ate the most amazing food & cuddled a lot. 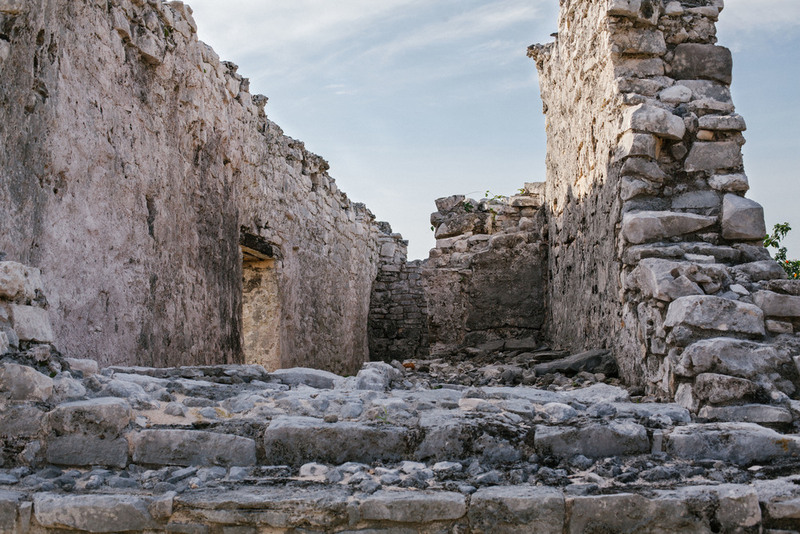 One evening, we visited the ruins which are part of what makes Tulum so famous. They were GORGEOUS!! My sweet man documented our trip to the ruins & now we're sharing it with you guys! We love Tulum & have several photos to share over the next few weeks. We're currently in the beginning of a two month holiday road trip which will take us through Houston, Nacogdoches, San Antonio, Austin, Dallas, Ft Worth, Tulsa, Indianapolis, Buffalo & more on our way to New Hampshire for Christmas! We're crashing couches from here to the great north. And it's been a blast.